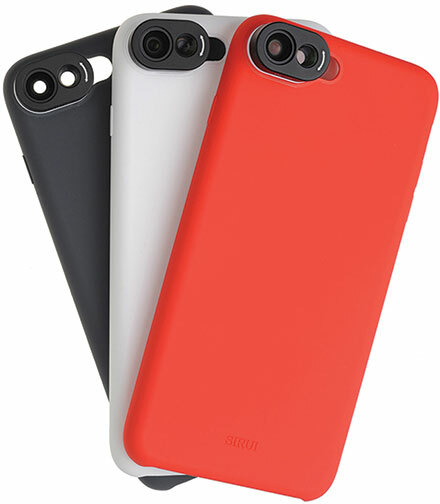 Verona, NJ—Sirui USA launched a line of mobile accessories developed to help broaden the creativity of smartphones for photography and videography. The line consists of lenses, protective cases, lens mount adapters, mobile photography table tripods, a clip adapter as well as selfie sticks. 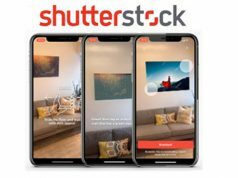 “The high-quality construction, adaptability and ease of use of these accessories will be sure to make them a favorite of the smartphone photographer,” the company announced. 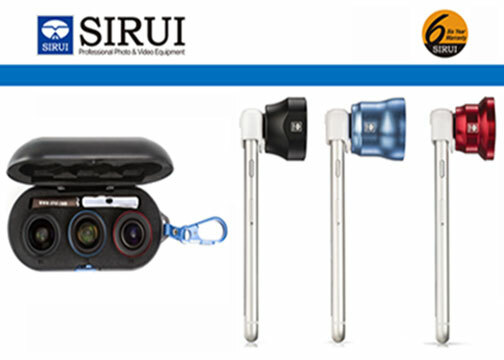 The independent distributor of Sirui products in the United States, Sirui USA provides photographic support products, including camera and video tripods, monopods, specialty heads, camera bags, camera cabinets, mobile imaging products and filters. The company also provides sales, sales support and service in the USA. The updated Sirui lens line consists of three options made with German-manufactured Schott optical glass. The glass incorporates a multilayer, antireflection coating for high levels of light transmission. It is also said to offer precise color rendition and reduce vignetting and distortion. The all-metal construction of the lens housing is designed to provide durability for years of use. Moreover, the bayonet on the base of the lens is compatible with the family of cases and adapters. The lenses also have an added pin to secure the lens better. Each lens comes with a front lens cap and a protective Sirui hard case with attached carabiner. 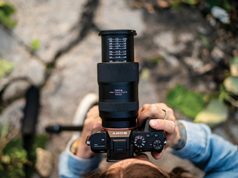 With the average focal length of today’s smartphones at about 29mm, Sirui lenses are designed to adjust that focal length to 18mm, 60mm and to a fisheye perspective. In addition, the new line of lenses is available in three colors: black, red and blue. Model SU18WA is available in black, red and blue. The lens is engineered to bring more of the scene into the image. 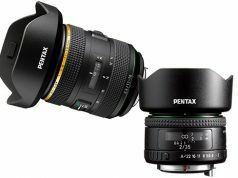 The updated lens, made with Schott optical glass, is designed to offer 4K image quality, precise color rendition and reduced vignetting and distortion. 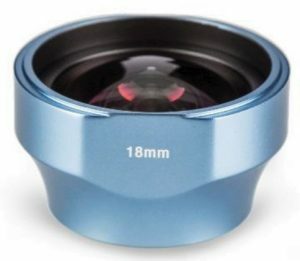 The 18mm lens has a suggested retail price of $69.99. This polarizer filter, model SU18WACPL, is offered to accomplish three main objectives. First, as a polarizing filter, it cuts out the glare in a scene. For instance, the glare on water can be eliminated to produce a true-to-life view of what is in the water. Second, the polarizer filter helps to saturate colors, which is useful when shooting a landscape. Third, the polarizer filter can improve the color of the sky in photographs. Polarizers will deepen the blue sky and brighten clouds for greater contrast and color rendition. SRP: $19.94. 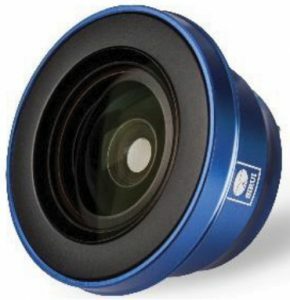 This lens, model SU60SA, also comes in red, blue and black. It is geared for capturing the clarity and depth needed when shooting a portrait or when photographers want to get closer to a subject. Made with Schott glass, it is also designed to bring “4K professional image quality, precise color rendition and reduced vignetting and distortion,” according to Sirui. SRP: $69.99. Model SUFE is for use when the widest field of view is needed to get the shot. The fisheye lens expands a smartphone’s lens to bring the entire scene into the frame with a 170º angle of view. 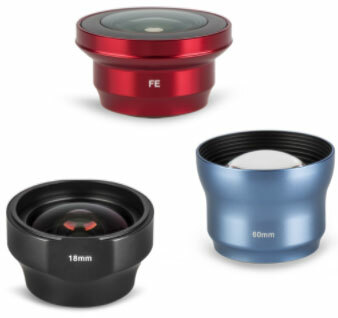 As with the other lenses in the line, the fisheye lens is also made with Schott optical glass. SRP: $69.99. Model SUWPF-01KBR is a three-lens kit that provides users with popular lens choices, in one small, portable package. It is marketed as “the perfect companion for your mobile phone photo adventures.” The kit includes: an 18-WA (black) wide-angle lens; a 60-SA (blue) portrait lens; an FE (red) fisheye lens; a lens cleaning cloth; and a hard shell/fully padded carry case with a carabiner. This protective case come with two lenses for iPhone 7 Plus (model SUDL7). 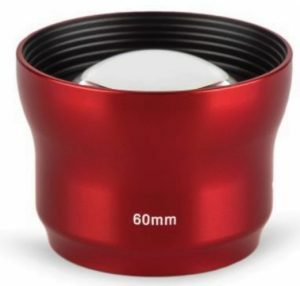 Moreover, the included dual lens attachment converts a standard phone lens to an 18mm wide angle and the second 56mm lens to an 85mm telephoto. With a twist, the dual lens attachment is removable, and any of Sirui’s accessory lenses can be attached. The case is available in red, gray and also white. SRPs: $29.94–$44.94. This is a solution for the consumer looking for a lens option without having to attach a full case to the phone. Sirui mobile phone lens mount adapters slide on a phone and can be used to position the lens on the front as well as back of the phone. No adhesive or straps are required to attach the mount. The new adapters also include a safety pin receiver to maximize the security of the lenses when they are attached to a phone. Moreover, the adapters come in six models designed to be used with iPhone 6/6s, iPhone 6/6s Plus, iPhone 7 and iPhone 7 Plus. SRP: $9.94. Model SUMSC-01 allows phoneographers to use their Sirui mobile phone lenses on any mobile phone. They can “clip and shoot.” Furthermore, the adapter is crafted from scientific-grade aluminum with soft rubber padding to protect the phone or tablet. The mobile lens clip adapter works with Sirui mobile phone wide-angle, portrait and fisheye lenses. The MSC-01 also fits on most other phones and tablets. Moreover, it can be used to enhance the camera on laptops. $12.99. 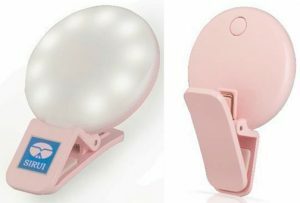 The Sirui BL-01 beauty lamp is a universal solution to add light to any situation with a clip-on design. Its features include: three brightness settings; Micro USB (included) for recharging; and a padded clip that attaches frontward or backward for selfies as well as portraits. Moreover, the beauty lamp’s round shape is designed to distribute light evenly across the subject. In addition, the BL-01 can be used off the phone for creating lighting effects. $14.99. A creative accessory developed to support mobile phone photography, the TSH-01B tabletop tripod kit enables phoneographers to use their mobile phone in different ways. Made of high-quality materials, the tripod can also be used for video conferencing.